Graphics cards now possess computational capabilities that were once limited to supercomputers. If you have a computer that bills itself as a gaming system, you may already have serious computing power at your disposal just waiting to be unleashed. Using CUDA, you can liberate the power of NVIDIA graphics cards to address a wide spectrum of applications. 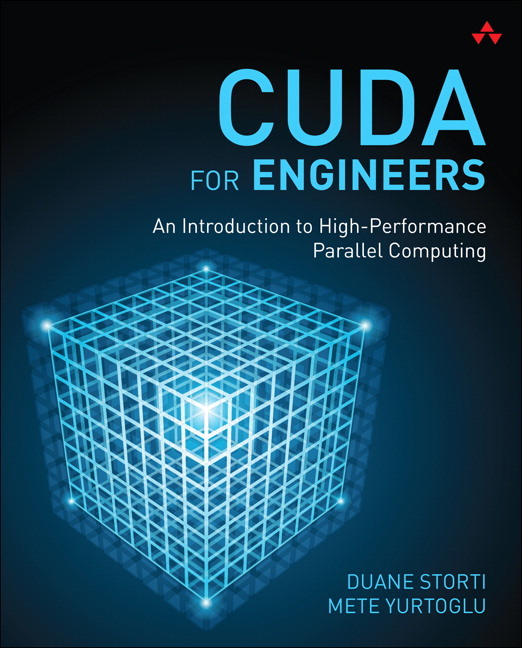 CUDA for Engineers is the first guide specifically written to make the power of CUDA for creating high-performance engineering and scientific applications available to the broader technical community. Ideal for any scientist, engineer, or student with at least introductory programming experience, this tutorial presents examples and reusable C code to jumpstart a wide variety of applications. You’ll walk through moving from serial to parallel computation, computing values of a function in parallel, understanding 2D parallelism, simulating dynamics in the phase plane and steady-state heat conduction, image processing, solving linear systems, interacting with 3D data, and more. All projects are fully developed with detailed building instructions given for all major platforms. Written by engineers who have experienced CUDA becoming an indispensable tool, this comfortable and conversational guide focuses on practical knowledge you need to solve real engineering and scientific problems with CUDA – at a small fraction of what it would have cost just a few years ago. © 2016 Duane Storti and Mete Yurtoglu. Powered by Jekyll using the Minimal Mistakes theme.